And most importantly, we have LOTS of fun! FatChanceBellyDance ®, FCBD ®, ATS ® and American Tribal Style ®, are federally registered trademarks of FatChanceBellyDance, Inc. For more information, please visit www.fcbd.com/about/legal.shtml. of a Level 1 session for $15 per class! if you decide to continue. Additional drop-in classes can be taken for $20 per class. Be sure to let Bonnie know you intend to drop in. on the day before start date will be cancelled. for chartered classes and workshops. Contact her with your request. 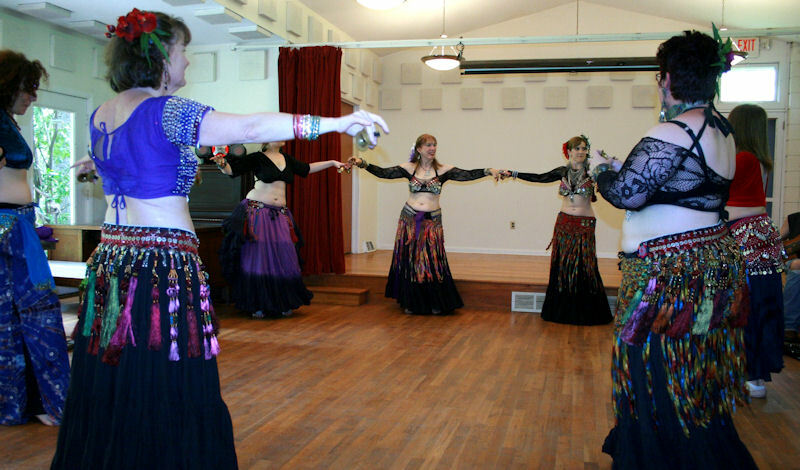 In the classes listed on this web site, you will learn Tapestry's blended form of Tribal Group Improv Belly Dance. Click here for a detailed description of Class Levels.